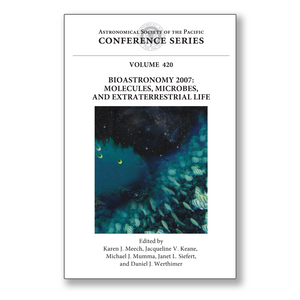 The 9th International Bioastronomy conference: Molecules, Microbes and Extraterrestrial Life was organized by Commission 51 (Bioastronomy) of the International Astronomical Union. The meeting was held in San Juan Puerto Rico, and hosted 234 participants, 19 invited talks, 57 contributed oral talks, and 113 poster presentations. The series of IAU Bioastronomy meetings have played an important role in integrating the broader interests and techniques of both astronomy and biology to understand the origin and evolution of life in our solar system, and of living systems in the universe. The theme of the 2007 meeting, Molecules, Microbes, and Extraterrestrial Life, deals with topics relevant both to solar system origins as well as to the NASA Vision of the Moon, Mars, and Beyond. The meeting location was selected because it is the site of one of the world's premier radio observatories at Arecibo, and because Puerto Rico is an astrobiologically relevant environment rich in biodiversity and well-suited for extremophile (halophile) studies. The meeting was held at a critical time for important science milestones, with recent commissioning of the CARMA millimeter array and the Allen Telescope Array in California , and coincident with (or just prior to) several planetary mission launches relevant to the NASA Vision and Bioastronomy (several international lunar launches, the NASA Dawn mission to the asteroid belt, the Phoenix mission to Mars in 2007, and the orbiting planet-finder Kepler in 2008). The conference was organized around four broad themes: the origin of prebiotic material in space and delivery to the Earth; investigation of habitable worlds in the solar system and the building blocks of life; the origin of early life and its co-evolution with the environment; and extrasolar planets and biosignatures.